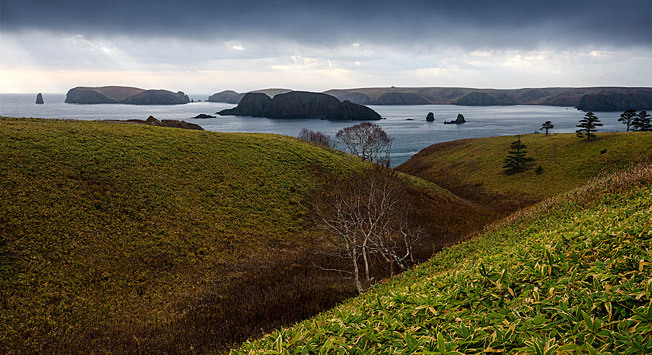 Japanese PM praises decision to carry out joint activities on Kurils. Japanese Prime Minister Shinzo Abe plans to visit Russia in the beginning of 2017 for holding talks on the peace treaty, the Kyodo news agency reported on Dec. 20. “I want to use a convenient moment to improve relations,” Abe said during a lecture in Tokyo. Abe added that the joint economic activity that Russia and Japan may start carrying out on the Southern Kuril Islands would allow Japanese nationals to freely visit the region. “This is a system that will have no other similar examples in the world. If it is implemented, the former citizens of the islands may visit them several times and freely, and even live there,” Abe said during his lecture in Tokyo, according to the Kyodo news agency. If trust between the two countries deepens, the islands will become a place for “coexistence rather than confrontation,” he added. The Mainichi newspaper earlier reported that Japan’s government had started preparations for talks with Russia aimed at carrying out joint economic activity on the Southern Kuril Islands and the first intergovernmental consultations on the issue will be held already in the beginning of the next year. Russia and Japan are still technically fighting World War II, with the latter making the return of the Southern Kurils as a precondition for a peace treaty.